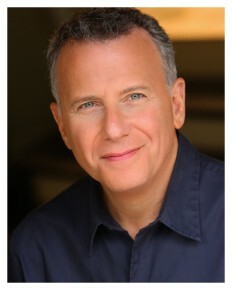 Comedian Paul Reiser, best known for the hit 1990s TV sitcom Mad About You, is returning to the New York City stage to perform a stand-up routine for the first time in more than two decades. The event, which will take place at the Kaufman Music Center, is to raise funds for the nonprofit JazzReach. Reiser speaks to Moment Senior Editor Marilyn Cooper about his return to performing live comedy. Can you tell me about your interest in music and how tonight’s event relates to that? Tonight’s event is for JazzReach, a New York nonprofit—they bring live jazz music to young people. Kids who have never heard live music before in their lives will have musicians brought to their classrooms. I love music, but it isn’t what I’ve ended up doing. I’m doing stand-up tonight. They’re really different kinds of things, doing stand-up and playing music. Even when they are happening in the same room. What made you decide to come back to New York to perform on stage after an absence of two decades? I haven’t performed in New York for years, more than two decades. I’m happy to be back in New York, my hometown. It is so great to be here to work, usually I come to play. I’ve had returning to perform here in mind for a long time. I’ve been too busy with other things, I got away from it, I’ve always meant to get back to stand-up. Doing stand-up turns out to be one of a few real constants for me. Being on stage is still really familiar; it makes me come back into who I am, my roots. I grew up loving stand-up, a lot of comedy clubs opened up around New York while I was coming of age. How has being Jewish influenced your stand-up routine? When I’m on stage, doing stand-up, it is about being who I am, being the most myself—and being Jewish is a big part of that. I grew up around funny Jews, so it must somehow have gotten into the mix. Who are your favorite Jewish comedians? So many of them are great, it has always been a big part of being Jewish. You hear the words “Jewish” and “comedian” in the same sentence a huge amount. I listened to Mel Brooks and Carl Reiner’s record, The 2000 Year Old Man over and over again. It was the record that I grew up on. It’s always been one of my cores, it’s sort of become the Holy Grail for a lot of comics of my generation. I love it when my kids quote that record, then I know I’ve done my job, you know, as a dad, I’ve done well when they quote that. We grew up on Mel Brooks and Carl Reiner, it is a very particular sensibility. I also love George Carlan, Robert Klein, David Brenner and David Steinberg. I’m in the new movie Whiplash, a drama. I’m the father of the lead character, a drummer in a jazz band. It’s really gritty movie, a serious and different kind of role for me. And the sitcom I’m in, Married, just got renewed for a second season, which is exciting.